Standard widths of 25", 32" & 38"
Standard lengths from 24" to 120"
Scroll down for tips on measuring and installing stainless steel countertops. 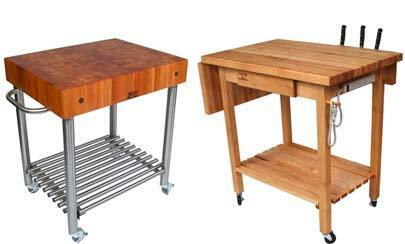 NOTE: These stainless steel countertops should be installed over a cabinet-style base that is totally enclosed. Steel is strong, durable, hygienic, heat resistant, and easy to clean. 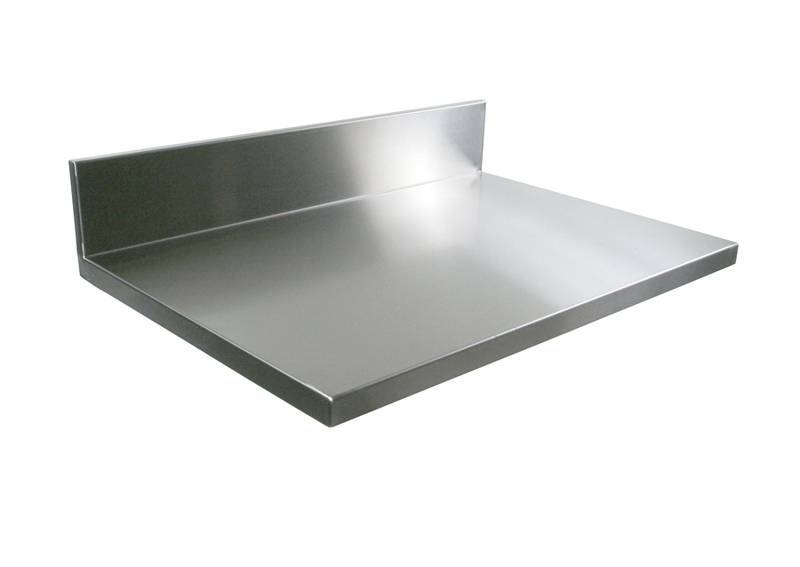 These stainless steel countertops feature heavy-duty, commercial-grade, 16-gauge stainless steel. 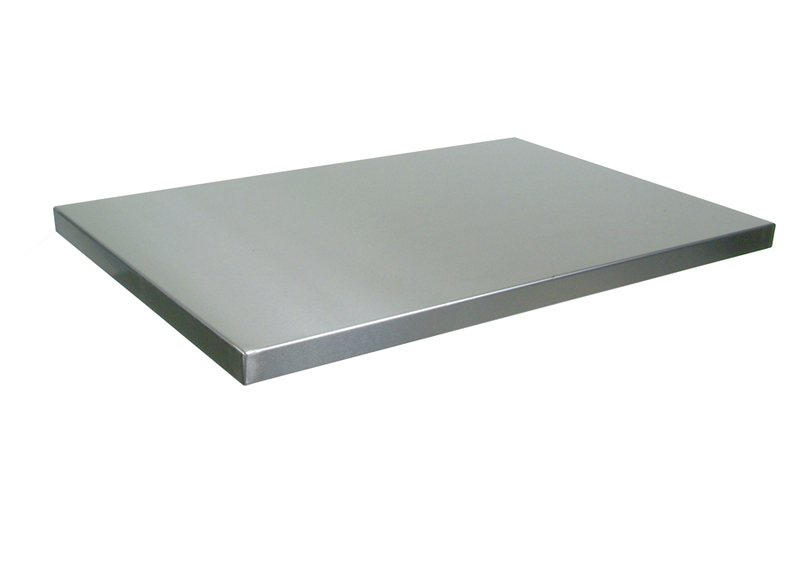 Thicker and heavier than normal stainless steel countertops, these are made from high-nickel-content type 304 stainless steel, and feature a #3 polish for a light brushed finish. 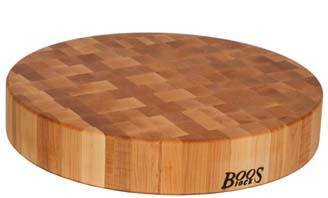 The underlayment is made from 1.5"-thick medium-density fiberboard (MDF). The steel covering rolls down over the edges of the MDF core, covering all sides evenly. 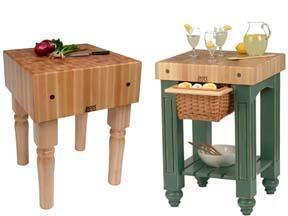 A melamine, laminate-like backing allows for easy drilling when attaching to base cabinetry. 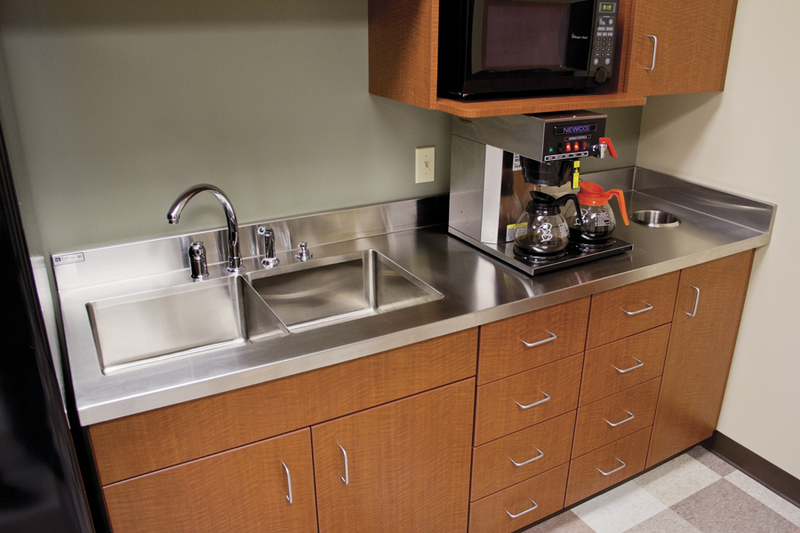 Our stainless steel countertops are NSF-approved. Stainless steel backsplashes are optional. NSF is a testing firm whose seal certifies that manufactured goods meet industry-accepted quality standards necessary to promote public health and safety. 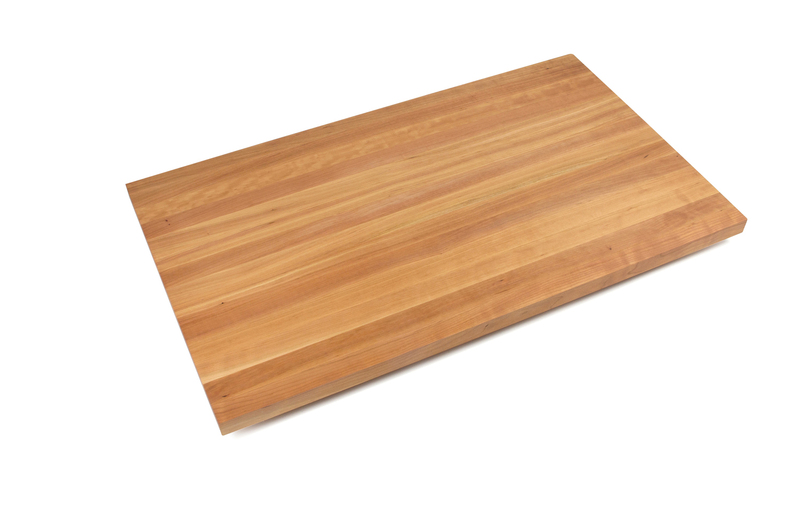 These steel counters, manufactured by food service industry leader John Boos & Co., come in 3 different widths: 25, 32 and 38 inches; and in eight different lengths. 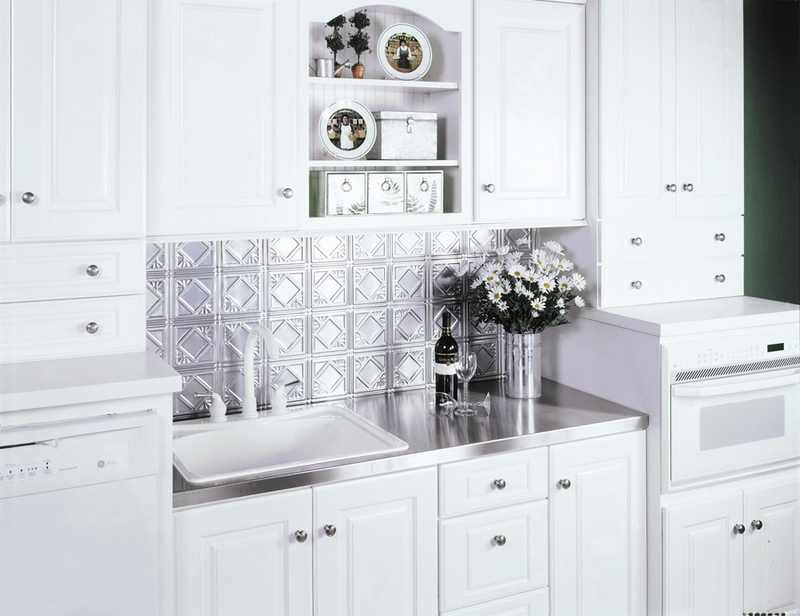 Stainless steel backsplashes are also available in those same eight lengths. Determine whether your walls are square and true. Factor into your measurements any deviations, as well as any plans for caulking or otherwise bridging any gaps between a wall and the countertop. Add ¾” to your Width (Depth) measurement to allow for a slight front overhang. If your layout will result in overhang at one or both ends of your counter, add ¾” for a single overhang or 1-½” for a double overhang to your Length measurement. Rest the countertop on the base cabinet. Move it into position. Using a level, check to see if the countertop is level. If not, use shims to bring it level. Secure the countertop to the base cabinet from below, using woodscrews (recommended over glue to ensure easy removal later). Make sure the screws are shorter than the thickness of the cabinet supports (or cleats) and the MDF underlayment, combined. A screw that is too long can dimple or protrude through the countertop. Seal the gap between the rear of the countertop (or the top and ends of the backsplash) and walls using a silicone caulk.